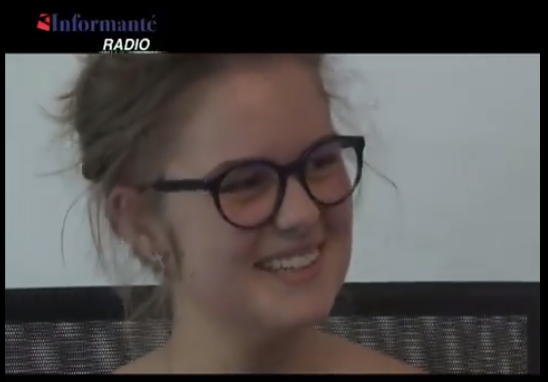 Marelize Horn, the young woman who’s cycling accident video created a media firestorm, visited the studios of Informanté Radio and during an interview with Hannes Kaufmann she tells the story behind the hilarious viral video. Her crash into the goalposts on a rugby pitch in Windhoek went viral on social media. She is an aspirant missionary who also wants to go and work as an au pair in the Netherlands. To be able to ride a bicycle is an essential skill for any person who wants to live and get along in the Netherlands. Marelize and her mom decided to make a video of her cycling lessons but things went horribly wrong and the viral result was instant social media fame for the 19-year-old. Listen to Informanté Radio in Ondangwa, Oshakati and Ongwediva on 105.6 FM, Rundu 107.2 FM, Otjiwarongo 105.9 FM, Mariental 104 FM and Keetmanshoop 88.2 FM.